2) A Windows 7 “Gold” image. For complete System Requirements see http://support.citrix.com/proddocs + Technologies + Profile Management. 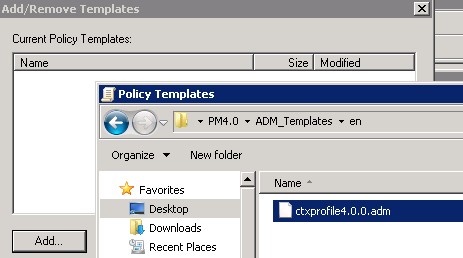 *Citrix > Profile Management : is under Classic Administrative Templates (ADM) here, due to being installed into a Windows 2008 environment. 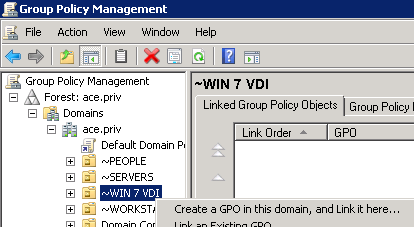 1) Create a VDI from the Windows 7 “Gold” image. 2) Log on to the VDI with a user account that is to be processed by profile Management and check that the server share is generated. 5) Log on to another VDI (or if using non-persistent VDIs then just log back on to the VDI) to see Profile Management in action. *This post is very much based on David's excellent video. I came, I watched, and I understood! Environment with Multiple Platforms – What Types of Profiles Should I Create? Excellently written, straight and to the point. 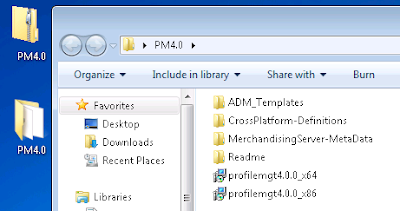 Have you used the template profile setting in upm? If so, how did it work for you? Also, did you disable the ini file or leave as is? Hello JP, thank you for the comment. Apologies I cannot answer your questions; this goes back a year now to when I was briefly engaged on a small 200 user VDI project, working with a specialist Citrix Consultant who did the fine tuning. My work tends to send me off on all sorts of random things, and - alas - I haven't had much to do with UPM since then. Cheers! Don't forget to use Citrix Profile Manager in conjunction with folder redirection or you will have the same problems as generic roaming profiles such as slow login times.